When I saw this theme the first song I started singing was "The Holly and The Ivy", so I went with it. Well the holly aspect of it anyway. 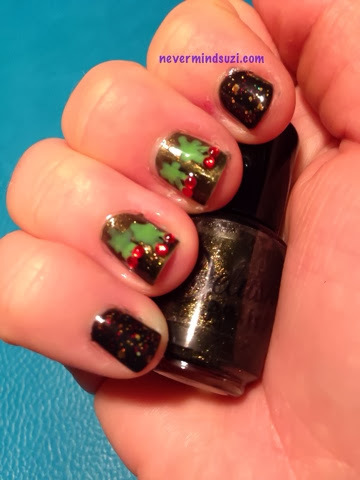 I used Delush Polish Mistletoe Besos topped with Merry Elfin' Christmas on alternate figures. 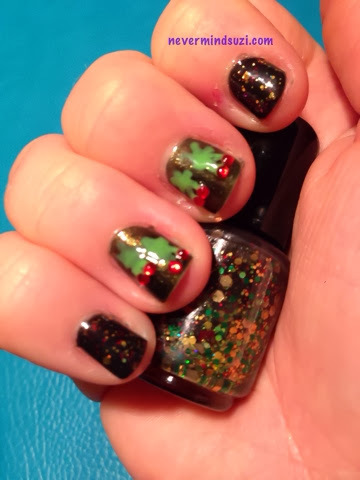 I used some red rhinestones and freehanded some holly leaves. I am a HUGE fan of Delush Polish and I even got to name one of the Festive Soiree Collection - Sugar Plum Surprise!